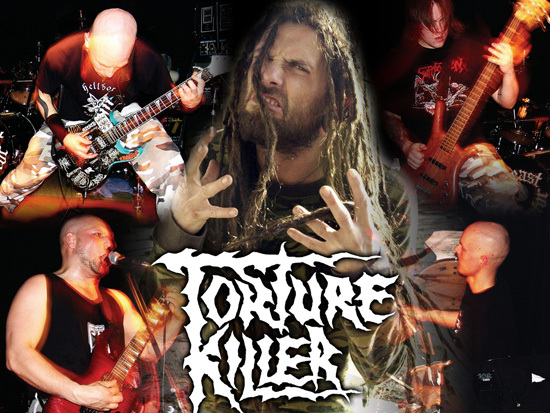 Torture Killer first started out as a fun project during the spring of 2002 when the guys hung out at their rehearsal room drinking beer and playing their favorite Six Feet Under and Obituary songs. After a couple of months a sudden possibility to play live at a local metal show rose out of nowhere and after a small discussion they agreed to perform a set of SFU cover songs. The band name was chosen after a track they were to play that night: Torture Killer. After that weekend they decided to try writing similar material of their own. The tracks turned out to be total killers with a massive sound and groove. From the first chord they played together it was obvious that Torture Killer would not remain as a “weekend boozing” project, it sounded way too good for that. 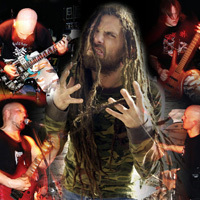 Six months later, Torture Killer were in the studio recording 9 tracks to be released on Severe Music, the label of one of the members of Torture Killer. The final result for this low budget recording (recorded, mixed and mastered in 30 hours) was perfect. It was exactly what they were after and the band decided to try their luck and sent promo-copies to a small amount of respectable metal labels. The end result was Torture Killer signing a deal in spring 2003 with Hammerheart. The debut album “For Maggots To Devour” was released through Karmageddon Media in October 2003. After the release the band did a tour in Finland supporting Vader and shortly after that embarked on their first small European tour with Cropment and Poppy Seed Grinder. The line-up changed just a few days before the European trip and Sallinen (Funeral Feast) stepped in to save the day and the band continued to use his help after the tour with random live dates. In September 2005 Torture Killer shared a release with a fellow Finnish death metal murder-machine Sotajumala. The split EP showcased two new Torture Killer tracks with Sallinen on vocals and was released as 7″-vinyl and as a CD single. 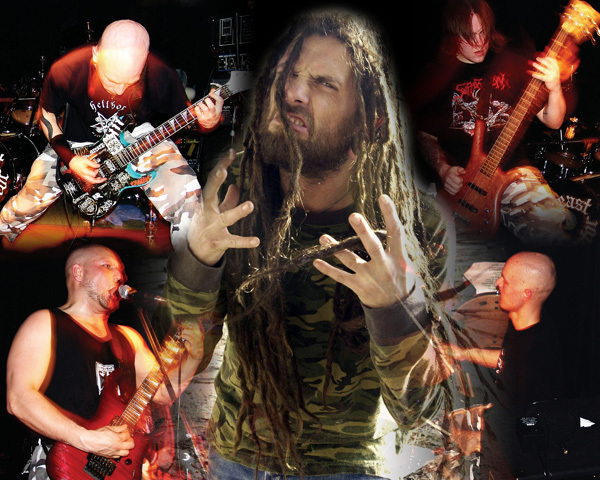 The guys never would have guessed where they would stand with this band in 2005 when they first started playing together under the name of Torture Killer. 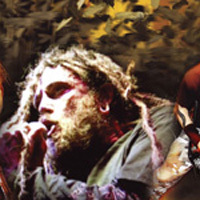 A majority of the interviews Torture Killer did to promote the debut album “For Maggots To Devour ” asked if they knew what the Six Feet Under guys and especially Chris Barnes thought about the band. “After all, the link between us and his work with SFU is more than obvious. Truthfully, we kinda wondered that ourselves as well. Well, now we know” states the band. With a back catalogue including death metal classics such as Butchered at Birth, Tomb of the Mutilated, Haunted and Maximum Violence it is obvious that the eyes of death metal fans will be on Torture Killer – in good and bad. The basic tracks for Swarm! were recorded back in January 2005, Chris did his vocals at The Hit Factory, Florida in May/June with Chris Carroll and the album was mixed and mastered by Chris and Erik Rutan in October. Cover artwork was done by infamous artist Wes Benscoter (who has done covers for such bands as Mortician, Cattle Decapitation, and Vehemence) who gave the album the visual impact it needed.